Greece is an amazing country, which is visited annually by millions of tourists. Some go here for the historical and architectural landmarks, others for a gentle sea, magnificent beaches and solitude, others seek to try all the culinary and entertainment delights of the country. To leave is not disappointed, it is necessary to carefully choose a resort in Greece to relax. Mainland resorts in Greece are very popular among the lovers of beach and sightseeing holiday. Especially active travelers are choosing Athens Riviera resorts, is located parallel to the Aegean sea. Excellent conditions for accommodation are in the towns of Kalamaki, Alimo, Faliro, Vouliagmeni, Boura, etc. these places are close to Athens, which facilitates access to many legendary attractions, as well as the most popular of the capital's bars and discos. However, because of the proximity to the capital, relax on the Athenian Riviera is the most expensive in the country. World famous are the resorts of Chalkidiki and Thessaloniki. These places are located in the North of the country. Local beaches, for the most part, hiding in small bays, and their borders grow pine trees. This feature makes the air very clean here, and that promotes relaxation and healing. It is worth noting that Halkidiki is one of the first Greek resorts, as Thessaloniki is a very ancient European city with lots of interesting sights. 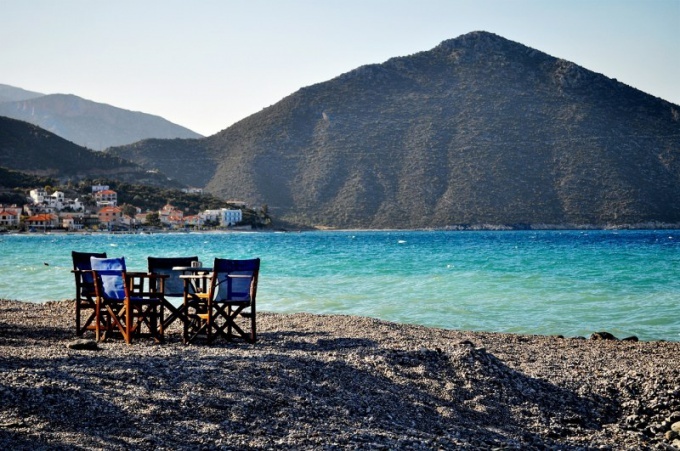 A lot of comfortable resorts located on the Peloponnese Peninsula. In Corinthia, Messinia, Arcadia, Elijah and other tourist cities you will find the excellent beaches suitable for swimmers of all ages. On the Peloponnesian Peninsula, there are a lot of attractions, but if you want easy and quickly you can reach the capital (average two hours). The Greek Islands are a true Paradise for tourists. The most crowded and visited are Crete, Rhodes, Santorini, KOs and Corfu. To choose the resort on the Greek Islands depending on your goals and capabilities. If you are planning a spring vacation, feel free to go to the resorts of Northern Crete. Due to the warm waters, the beach season often opens in late April. The fine sand beaches, well developed tourist infrastructure, many attractions and shopping opportunities will allow you to fully enjoy your holiday. It is worth noting that in Crete, always happy young travelers: many of the hotels offer special menus, as well as all the necessary accessories (high chairs, strollers, shallow pools, playgrounds). Resorts of Rhodes have a great time and the water sports lovers, and fans of the "lazy rest". First you should choose the West coast with numerous coves and pebbly beaches. This is based fans of Windsurfing. In the Eastern part of the island most beaches are sandy, and the Aegean sea much quieter. Also the holidays in Rhodes will appeal to fans of nightlife: many bars, clubs and discos are open all day. Resorts Santorini, Corfu and KOs should choose if you prefer a quiet holiday. First place the famous beaches of volcanic sand (gray and red) and an excellent kitchen. KOs and Corfu are different greenery and very fresh air. The resorts of the Islands quiet, moderately active (the main types of transport – my feet and bikes) have many long sandy beaches and very clear sea. If you wish not so much to lie on the beach, how great to hang out, go to the island of Mykonos. This resort is the most Bohemian place of the country: it is here that prefer to relax celebrities. The main "hot spots" are located in Chora, the capital of the island. There are many cafes, bars, restaurants, Nightclubs, and shops the most famous brands.